Found our first neighborhood bar…The Neighbor Lady. Great food, good prices, good drinks, Ms. Pac Man machine, pool table, awesome decor, walking distance! Have finished birthday cake in only 3 nights and with only help from one other person, yikes! 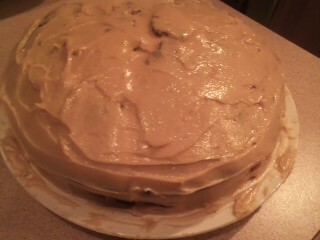 My awesomely rich peanut butter chocolate cake made by Bryan, only one week late! Finally got a Seahawks win again and watched in the comfort of friends with a full on brunch spread of: brioche french toast, fresh fruit, kale and cheese strata, pumpkin muffins, bacon, homefries, and mimosas. Attended the symphony for a Baroque concert during a Sunday matinee “un-tuxed” performance, and enjoyed it! 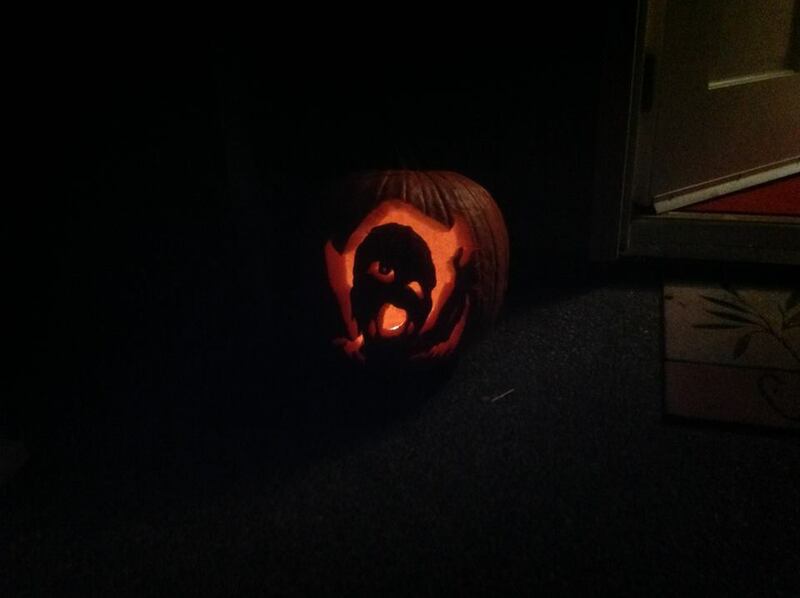 Had friends Billy and Valerie over after the performance to carve pumpkins and watch football. Bryan and my one eyed monster! I’m officially done with cake! Bryan and I need to entertain more!